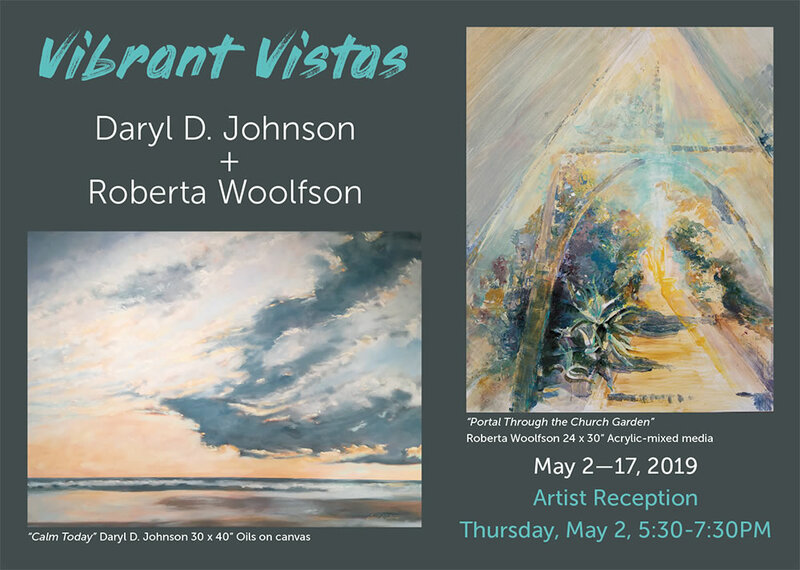 Artworks by Daryl D. Johnson and Roberta Woolfson on Show at Jupiter Hall in Manchester, NH. Artist Reception to be held Thursday, May 2. 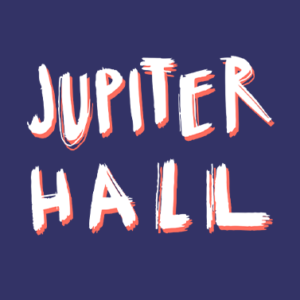 Daryl D. Johnson and Roberta Woolfson will show original artworks at Jupiter Hall, 89 Hanover Street, Manchester, NH from May 2 — 17, 2019. The Reception date is Thursday, May 2 from 5:30-7:30pm. All are welcome and the event is free to the public. Meet the artists while enjoying light refreshments. The artists will be painting in the gallery during open hours Wed-Sat 11am-5pm. The artworks represent vistas from travels around the world – grand vistas and deeply personal vistas. “You will experience splendid foliage, fertile and ripe; the sweeps of African horizons; the gemstone colors of the hills of Puerto Rico; intimate views under the sea and views down mossy gorges. All with multi-poetic layers of stories, images and paint,” says Woolfson of her acrylic-mixed media works. Daryl D. Johnson was born in Manhattan, grew up in the suburbs of NYC and moved to New Hampshire in 1988. Johnson studied at the Vermont Studio School and The Art Students League of New York. Johnson’s paintings have won numerous awards and are in private and corporate collections throughout the world including Fidelity Investments, Toledo Botanical Garden, Delta Airlines, General Electric and PepsiCo. Roberta Woolfson grew up in Zimbabwe in southern Africa surrounded by vibrant colors and powerful scenery. Trained in theater design and literature, she has painted many large and dramatic murals in homes, libraries and schools. Woolfson spent decades studying many different styles of art pushing boundaries and is now exploring expressionism fusing drama, poetry, emotion, paint and texture to capture the essence of her world.